When Indian's lost the match, people were telling that we had to finally give it back. But logically speaking we still won't give it back. See the picture below. See the 2011 world cup closely. It is different from the 2015 world cup. We never told that we won't give back the 2015 world cup. 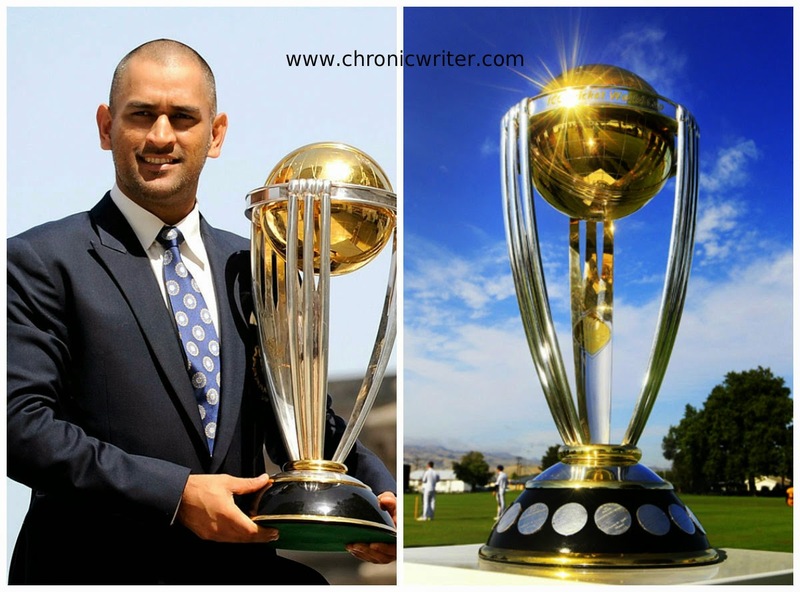 See the 2015 world cup closely. It has lot of patch works at the base. I feel like vomiting looking at that 2015 world cup. Let the Aussies or the Black Caps keep it. We don't need that patch work world cup. We are content with 2011 world cup. Mugam kuppura vilamaatom. Veezhndhaalum vaanathai paarthavaarudhaan veezhvom..